Face Reading for Mentalists is a unique system of personality profiling designed to create stronger connections and more direct hits. Not only just that, Face Reading for Mentalists takes you through a process and organizes this process into a logical outline. With the outline in mind you know what to say and when to say it. You no longer have to resort to blanket cold reading statements or face that agonizing blank stare! 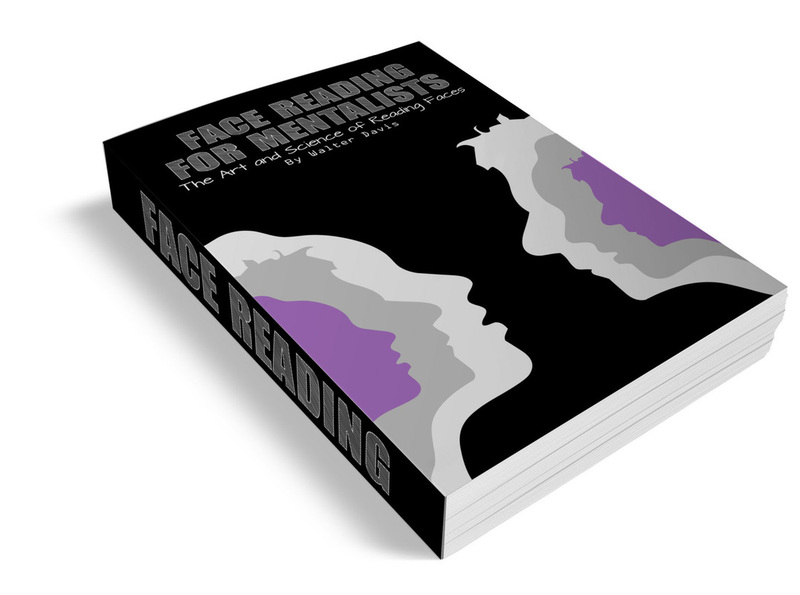 A fascinating explanation of the little known, and underused (by mentalists) art of face reading… an extremely valuable addition to our set of cold-reading tools. Since it is a system that is not at all familiar to most contemporary audiences, face reading offers us the opportunity to present something "new". Worked by itself or in combination with other cold reading approaches, face-reading, as described by Walter, can appear to be devastatingly accurate. While the material contained in the book can be learned by anyone, I honestly think that it will be of most value to those who have some prior experience doing cold readings. Professionals will find it to be a goldmine of marketable material. — Bob Cassidy, Master Mentalist and author of the "Artful Mentalism of Bob Cassidy"
Face Reading for Mentalists provides everything you need to know to give helpful, caring face readings. It provides a wonderful "edge" that gives you a huge advantage before even starting the reading. Essential reading for anyone interested in psychic readings. This is really beautiful stuff...Your book is the most streamlined, no-nonsense and BS free piece of work I've read in awhile...you cut right to the point and give the reader GREAT information they can use immediately to give accurate and compelling readings ... you've done a lovely job of condensing this information which can definitely prove daunting, complicated and confusing to newcomers and you tipped plenty that I wasn't familiar with and had never seen, learned or heard of before this within the first 10 or 15 pages, and it just kept getting better. All in all, a wonderful piece of work! When I was 5 years old and learned to read, I couldn't stop reading any text that passed in front of my eyes. If you read Walter´s work about Face Reading, you will experience the same thing. You will look at any person and know exactly the type of temperament, the way that this persons tends to behave, his affinity to money and a lot more. Incredible techniques and very simple steps to learn it. Great product!